Do you have recently decommissioned Cisco Nexus Datacenter switches you no longer need and want to liquidate? NetEquity.com is a leading commercial wholesale buyer of Cisco Nexus 2000, Nexus 3000, Nexus 5000, Nexus 7000 and Nexus 9000 Series switches and fabric extenders. We also purchase most Cisco Nexus N2K, N3K, N5K, N7K and N9K spare supervisor modules, ethernet and fiber line cards, spare power supplies and unpopulated spare chassis. If you are interested in upgrading your Cisco Nexus switch core, or need supervisor modules, line cards or other Nexus products for sparing, contact us today for pricing. Cisco offers a variety of 10, 40 and 100 Gigabit Ethernet switch fabric solutions across the range of Cisco Nexus product series. Cisco Nexus modular core switches and switch fabric extenders support NX-OS features programmable, open source tools for software-defined network deployments. Get high-density 10, 40, and 100 Gigabit Ethernet with application awareness, high programmability, and performance analytics. We Buy and Sell Cisco Nexus 2000, Nexus 3000, Nexus 5000, Nexus 7000 and Nexus 9000 Series Switches, Supervisors, Line Cards and Accessories . Whether you are interested in Buying or Selling Cisco Nexus switches, we can help! Contact us today for a quote. 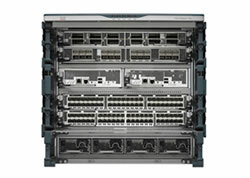 Interested in purchasing a New or Refurbished Cisco Nexus core switch chassis, supervisor, line card or fabric extender? NetEquity.com offers fast-turn inventory and competitive pricing discounts on both New and Refurbished Cisco Nexus parts, from fully configured systems to components. To request a price quote, simply contact us or complete a quote request form online to get started. NetEquity Refurbished Cisco Nexus Series Switches are professionally remanufactured to Excellent Cosmetic Condition, fully port and stack tested by Certified Engineers and reset to Factory Default settings. Our Refurbished Cisco Nexus Switches include Rack Mounting Hardware and Power Cord, and are ready to install out of the box. In addition to offering extremely competitive pricing on Refurbished Cisco Nexus Switching Products, we also offer a full 1-Year replacement warranty for End Users on all Refurbished Cisco products. We also maintain a very large standing inventory of the most popular Cisco Nexus Switch models and accessories, ensuring that we have what you need IN STOCK, with no long lead times. NetEquity.com wants to buy your used, excess or end-of-life Cisco Nexus switches, Nexus Supervisor Module and Nexus Line Cards. If you've simply outgrown your current Cisco Nexus core switches and/or fabric extenders and are interested in a trade-in or upgrade, we can help. Contact us today to sell, consign or trade your unwanted Cisco Nexus equipment.